Manchester start-up Lumici has closed a £120,000 seed round for its online collaborative lesson planning platform, Lumici Slate. 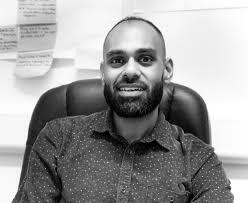 Founded by former teacher and education technology specialist Atif Mahmood, Lumici Slate's online collaboration tools reduce the time teachers spend planning lessons. According to the Association of Teachers and Lecturers (ATL), four out of 10 newly-qualified teachers leave the profession within the first year due to increasing workload and planning. Lumici secured funding from a range of entrepreneurs following an Ignite accelerator workshop including Chris Haslam, founder of Manchester-based Drupal specialist Ixis, Bill Carr, David Wood, Stephen Pankhurst, Romilly Sinclair and angel investor Doug Scott of Potential. Lumici Slate creates pre-built and fully customisable templates that can be shared with students as part of a classroom exercise, home learning or revision programme. Teachers can view real-time reporting to see which lessons have been accessed and how each student is performing. Students, teachers and parents also have access to an online lesson journey that maps out what subjects have been taught during the school year and what activities students have completed. Mahmood launched Lumici after noticing the lack of suitable planning platforms on the market during his 10 years in the education profession, working at the Alice Smith School in Kuala Lumpur. There are currently 4,000 students and teachers using Lumici Slate, and the start-up is now targeting the 25,000 schools and colleges in the UK, with a target to be in one in every five schools within the next three years.